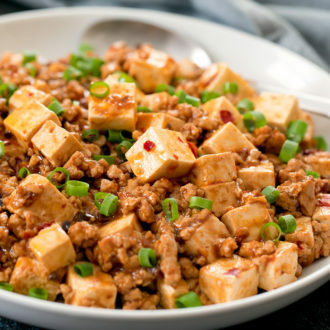 Mapo Tofu is a popular Chinese dish and Sichuan classic. 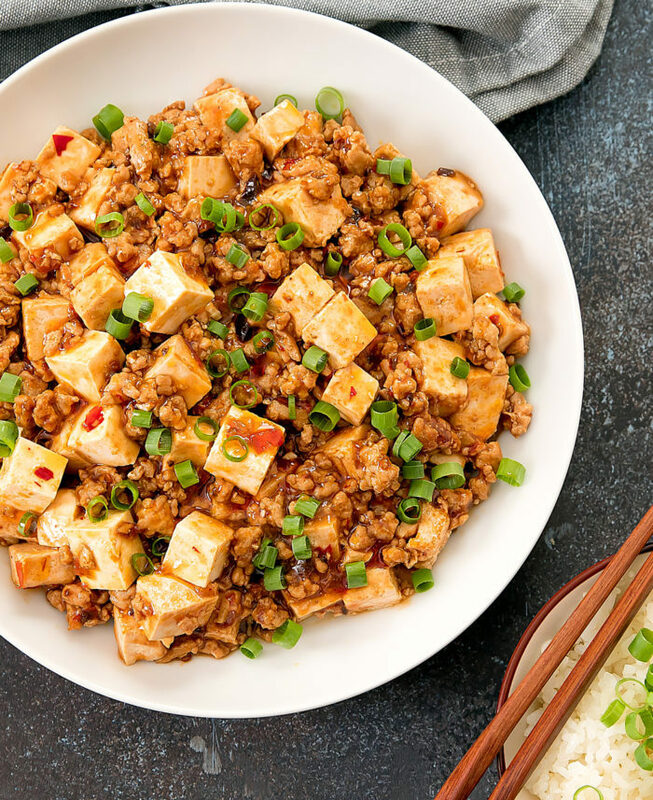 It’s served at many Chinese restaurants but you can make an authentic version at home too. 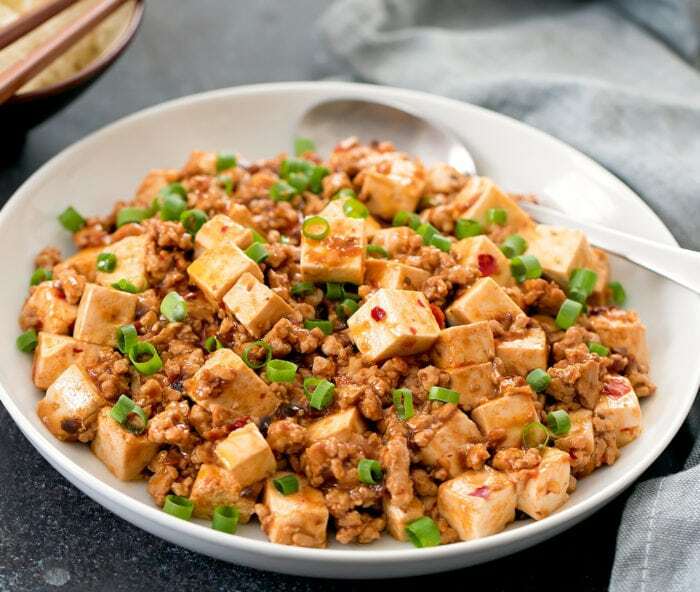 Traditionally the dish is made with ground meat and tender tofu. They are cooked in a variety of chilis for a spicy dish that is usually served with rice. You can of course make variations of this dish. You can make it vegetarian by leaving out the meat. You can use less chili if you want to make the dish less spicy. 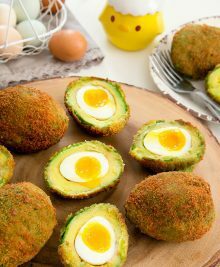 And you can serve it with something other than rice if you are trying to keep to a low carb diet. Ma Po literally translates into pockmarked old woman/wife. It is believed that the dish was invented by the wife of a couple who owned a food cart/stand. They often served to laborers passing by. Sometimes the laborers would bring pork and she would incorporate it into her tofu dish. The woman had pockmarks on her face and was known as the pockmarked woman/wife. The dish soon became very popular and was then named after her. 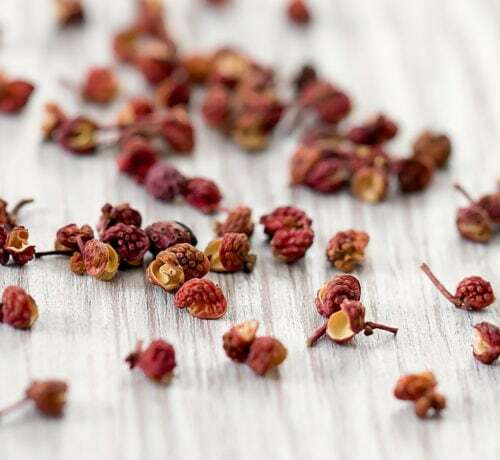 Sichuan peppercorns. This is the ingredient that gives the dish the mouth-numbing spice. 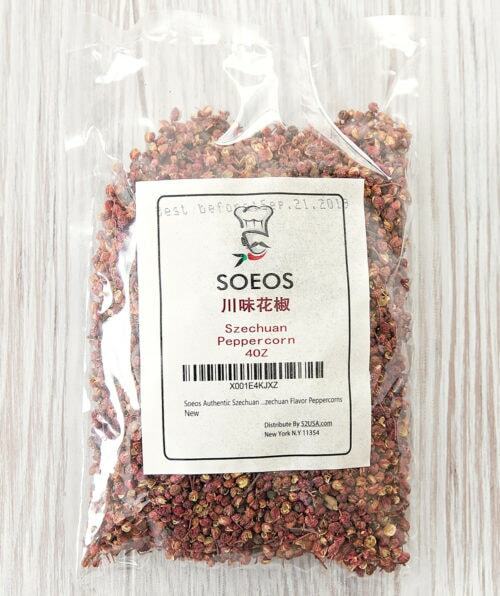 Again, the peppercorns can be purchased at Asian markets or on Amazon. I purchased mine on Amazon. * The peppercorns needs to be roasted and then ground up to powder. 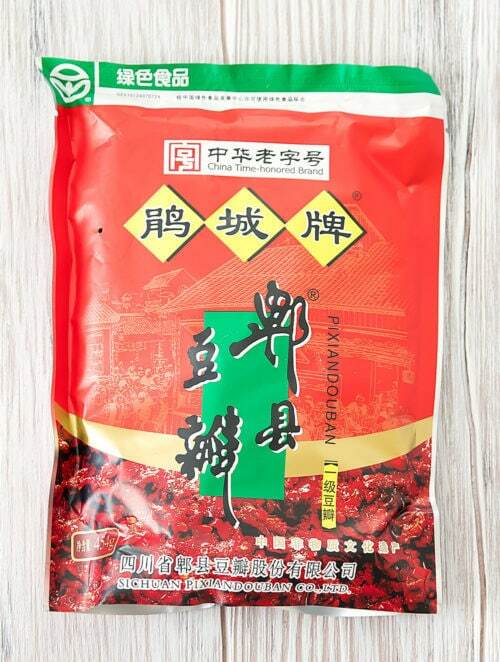 Chili Oil. This should be a little easier to find. It is sold at Asian grocery stores, Amazon and most mainstream grocery stores as well. First fry the peppercorns until the aroma of the peppers come out. Pat dry any oil released and allow to cool. Grind them in food processor until they become a powder. Pre-cook the tofu for a few minutes in boiling water. Doing so will help tenderize the tofu and also strengthen the tofu so it won’t break as easily when added to the sauce. Roughly chop up the doubanjiang. In a large skillet, add the ground pork and sesame oil and cook until done. Then add in the doubanjiang, garlic, ginger, chili oil. Cook for about 1 minute. Add in 1 cup of water. Bring to a boil and slide in tofu. Stir in soy sauce and sugar. Taste and adjust seasoning as needed. You can add more soy sauce if you feel it isn’t hot enough. If you feel it isn’t spicy enough you can add more chili oil or more doubanjiang. Keep in mind that you will also be adding peppercorn powder at the end which will at to the spiciness. If it is too spicy, you can add a little more sugar. Once the sauce has been reduced and is the desired taste, add in cornstarch water to thicken the sauce. Turn off heat and sprinkle peppercorn powder and scallions over dish. Serve immediately with rice or rice substitute of your choice. 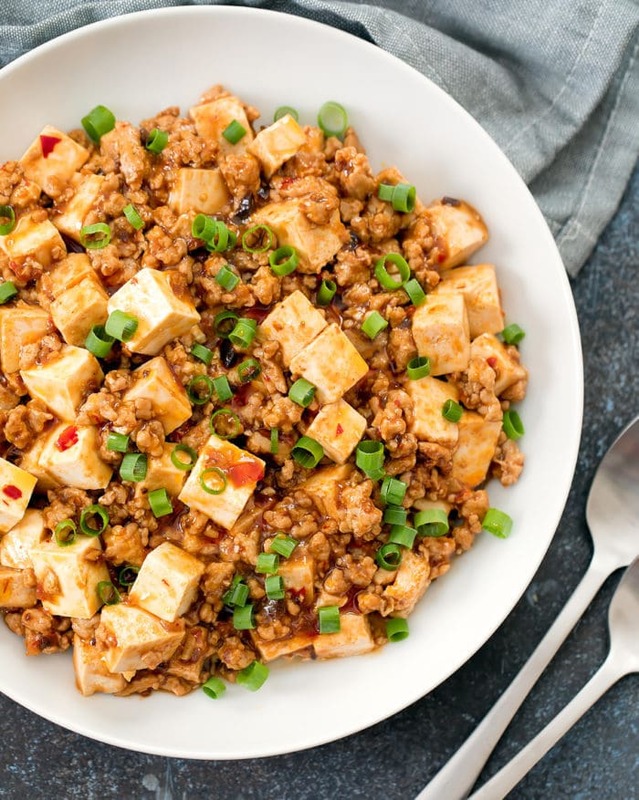 This is a popular Chinese dish featuring ground meat and tofu cooked in a spicy chili sauce. Learn how to make an authentic version of this dish at home. To make peppercorn powder, fry 1 heaping tbsp of peppercorns in a small skillet with about 1 tsp of oil (any kind). Toss peppercorn until aroma of peppercorns come out. Pat dry and let cool. Place into spice grinder and grind to powder. Set aside. Bring a large pot of water to boil. Slide in tofu. Cook for about 1 minute. Drain tofu and set aside. 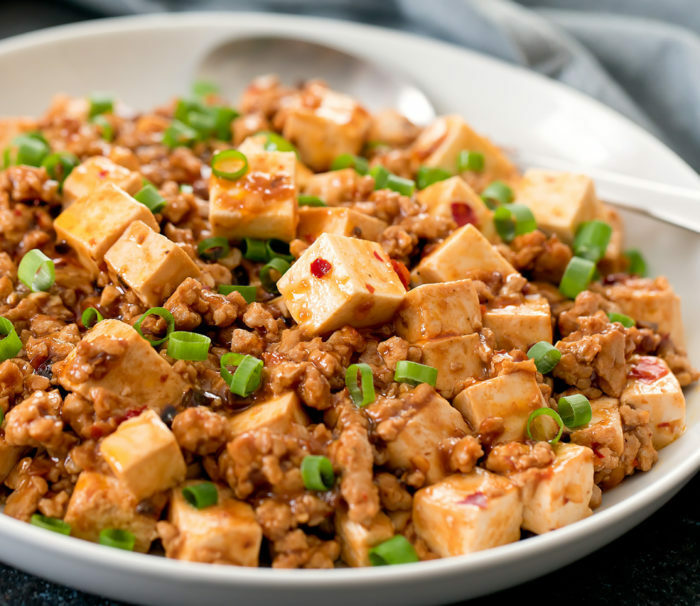 In a large skillet, add the ground pork and sesame oil and cook until pork is cooked. Then add in the doubanjiang, garlic, ginger, chili oil. Cook for about 1 minute. Add in 1 cup of water. Bring to a boil and slide in tofu. Stir in soy sauce and sugar. Taste and adjust seasoning as needed. You can add more soy sauce if you feel it isn’t salty enough. If you feel it isn’t spicy enough you can add more chili oil or more doubanjiang. Keep in mind that you will also be adding peppercorn powder at the end which will add to the spiciness. If it is too spicy, you can add a little more sugar. Cook until sauce is reduced. In a small bowl add 2 1/2 tbsp water and 1 tbsp cornstarch. Stir until cornstarch is completely dissolved into water. Add to sauce and immediately stir so that the cornstarch slurry dissolves into the sauce and doesn't clump up. Cook about 30 more seconds or until sauce is thickened. Turn off heat and sprinkle peppercorn powder and scallions over dish. If desired, you can also drizzle with a little more chili oil. I like using soft tofu but you can also use silken or firm. Ground pork can be replaced with ground beef.